PESHAWAR: Chief Justice of Peshawar High Court, Justice Waqar Ahmad Seth has inaugurated the first-ever Child Protection Court (CPC) of Khyber Pakhtunkhwa at Judicial Complex Peshawar on Saturday. The first CPC has been set up with the assistance of the British High Commission and Ms Valerie Khan Yousafzai of an organisation, Group Development Pakistan (GDP). Child rights activist hailed the setting up of CPC, saying it was a good initiative on part of PHC and the provincial government. The initiative of CPC has been established under the KP Child Protection and Welfare Commission Act, 2010 and Juvenile Justice System Act, 2018. Under Section 15 of the Child Protection Act, 2010, In the first phase Additional District and Sessions Judge, Wadeeya Mushtaq Malik, has been appointed as the presiding officer of the Child Protection Court at Peshawar. The judge will head both child protection court and juvenile court under the Juvenile Justice System Act, 2018. The court will handle issues related to child protection and welfare cases particularly legal custody of destitute and neglected children. Moreover, it will also deal with the reunification of destitute and neglected children with their families; trial of cases registered under the Child Protection and Welfare Act; welfare of children; trial of cases involving where children are victim, witness and offender and protection of movable and immovable properties of orphans, neglected and children at risk. 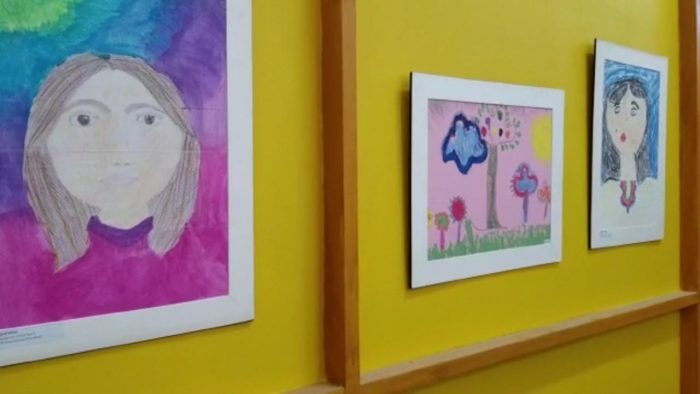 Arrangements have been made in two separate rooms equipped with toys, books and colourful paintings on walls to acclimatize children with the court environment. Khawaja Wajih-Ud-Din, Registrar the Peshawar High Court while addressing the inauguration ceremony, said that primary role of the Child Protection Court is to ensure the protection of children from maltreatment, violence, exploitation, abuse and neglect. He said that protecting vulnerable children from mental and physical abuse and mistreatment was the collective responsibility of every segment of the society and stressed the need for proactive child protection policy to provide a safe environment. 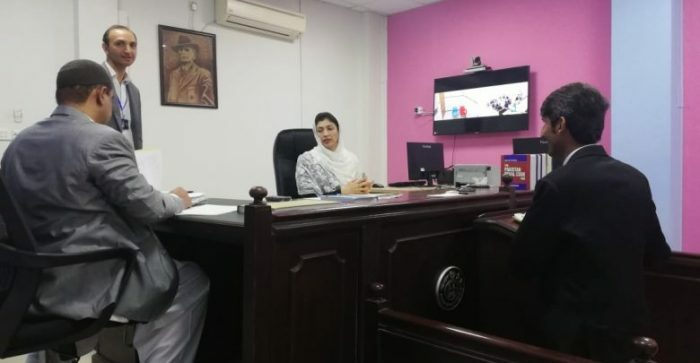 Wajih-Ud-Din informed that adding that PHC has successfully arranged a training session at Khyber Pakhtunkhwa Judicial Academy for the Judicial Officers and representatives of all stakeholders involved in the child protection and welfare. In the second phase, the Child Protection Court would be extended to Divisional Headquarter followed by setting up these courts at every district across the province. He said that the provincial government had already been approached about the financial implication and provision of basic facilities in these courts. Vision envisaged by the legislator while framing the KP Child Protection & Welfare Act as well as Juvenile Justice System Act was to protect the rights of Children which will be implemented by the Child Court, hence the credit for that goes to the Khyber Pakhtunkhwa Government. Peshawar High Court will appreciate if now practical steps are taken in that direction by extending the establishment of Child Protection Court in all the districts of the Province. Khawaja Wajih-Ud-Din highlighted the importance of sensitizing society about rights and providing a congenial atmosphere to children in the light of Islamic teachings and the constitution of Pakistan. He said proceedings and atmosphere of child courts will be totally different as arrangements have been made in two separate rooms equipped with toys, books and colourful paintings on walls to acclimatize them with court environment. The registrar also informed that Counsellingg will be given to those children appearing in courts.